Design, download, and print one of our professional signs for free. • Free campground signs make sure you have everything you need for a safe and fun camping adventure. • MUTCD signs meet all the latest safety regulations. We sell nearly 400 different signs for trails, campfires, hunting, ATVs, and more. 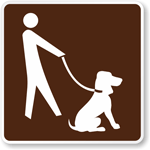 • Post our campground signs for your campers who are hiking along a trail, building a campfire, or swimming. • It may not be the sign you deserve, but it's the one you need right now. Get a free sign and order a rigid plastic or aluminum sign later. 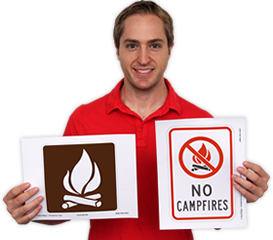 Scroll through our list of free printable Campground Sign designs. Once you have selected your sign you can download a free PDF for your printer.